One of the things I hate most is seeing unhappy, miserable people working a job they don’t like and don’t care about. It seriously annoys me and just makes me sad. Because it doesn’t have to be like that. I know the normal people of the world and society tells you that it has to be like that–that you have to go to college, get a job and then work until you retire. But it doesn’t actually have to be like that. It’s a choice to spend your life that way. And it’s also a choice not to. Choosing not to comes with its own set of challnges, obviously. But so does choosing to stay in a job you dislike that makes you feel like your soul is dying. And in my opinion, the challenges of not spending your life that way far outweighs dying a little more every day in a soul-sucking job. But even if you don’t want to work for yourself full-time, doesn’t mean you have suffer. Doesn’t mean you have to continue letting your income and your freedom be dictated by someone else. You can take back control and even make yourself a nice litle side income. How amazing would it be to have extra money every month? Imagine the things you could do, be and have. How badass would it feel to know that you never have to worry about money, because you’re not only making money from your day job, but you’re also making some on the side from the things you really care about (aka: your writing)? This is totally possible. All it requires is for you to monetize the skills and gifts you already possess. Writing services are a booming industry and will continue to grow and expand as more and more people and companies get online. Content is king on the internet, and writers are at the forefront of it. Tons of entrepreneurs are coming online every day and many of them have zero skill when it comes to writing copy. Which means there’s a great opportunity for any writer who’s good at writing copy (for emails, sales pages, product info pages, etc). Copywriting is a skill that will always be in demand so long as their are entrepreneurs, companies and business owners. This could cover most types of writing, as freelance writing is any kind of writing you’re doing for someone on a freelance (or contract) basis, instead of as an employee for their company. As a freelance writer I’ve done everything from fictional short stories to blog posts to feature articles to profiles to emails to marketing and sales copy and more. And the cool thing about freelance writing is you’re in control of when and where you work. You’ll have a deadline but the company who contracts you won’t tell you where to work or how to work or when to work. They’ll just give you the info they need you to write and you get to figure out how to get it done by the deadline. But writing isn’t the only skill you can offer. There are so many writers out there writing novels and screenplays and poems and memoirs, etc., which means they’ll eventually need a Beta Reader. You could be that Beta Reader. If you know a lot of about stories and the craft of writing them, your Beta Reading skills could be invaluable to an emerging author who’s trying to make their book as good as it can possibly be. Beta Readers are in demand in the writing industry. Majorly. And there’s a serious lack of them out there. Again, there are tons of writers writing books, etc., and for anyone who’s self-publishing, an editor is a non-negotiable (it should be for someone who’s traditionally publishing too). You could be that editor someone hires to read and give feedback on their story, or to line-edit and proofread the book once it’s ready for publication. If you know how to use social media to spread a message and grow a following, content marketing could be a very lucrative way for you to earn money with your skills. Content marketing is in high-demand because of how much content companies and businesses are now pushing out to the online world through their websites and blogs. You could be the person who helps spread that content and that message. Now these are just five examples. There are tons more ways to make money from your writing and communication skills. But my favorite is freelance writing, for a few reasons. I love that you can freelance write while you hold down a regular job. I did that for years and it was a nice little side income that I’d use to buy things I wanted or to travel. I also love that you can freelance write from anywhere in the world so long as you have a computer and internet access. Talk about freedom. Getting to choose when, where and how you work is the kind of freedom I dreamed about for years while sitting behind a desk for eight-plus hours five days a week working for a company I didn’t care about. When I took my writing business full-time, I finally got to experience that freedom first hand (and I’d never go back!). I don’t believe in working a job just to have a job. I believe you should do work you love. I understand that sometimes you have to work a job you don’t like because you need to make a living (we all do it at some point) but you don’t have to only do that. And you don’t have to do it forever. Now I’m not suggesting everyone go and monetize their writing skills. Well, actually, I am. But only if you actually have writing skills. But if you’ve got experience in something or you’re passionate about something and you’ve got the skills to back it up, I see no reason why you can’t translate that into an income. You can use your natural-born writing skills to create freedom for yourself, financially, physically and mentally. You just have to be brave enough to push yourself past the comfort zone you’re currently living in that’s stopping you from doing what it takes to monetize your writing skills. P.S. Doors to the Freelance to Freedom: Get Gigs. Get Paid. Write for a living., are now OPEN!!! 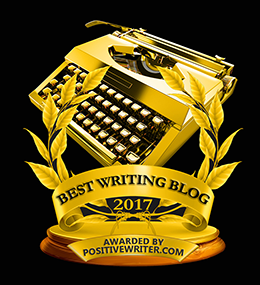 If you’re ready to monetize your writing skills and get paid to put words on the page, this is your opportunity to learn how to do that. Like with all of my workshops, this is an interactive experience where you’ll be taking action, not just sitting around learning how to do something. You’ll actually be implementing the things you’re learning, and if you stick with it and do a good job, I will be introducing you to the editor-in-chief of multiple websites who is always on the look-out for new freelance writers (and the pay isn’t too shabby). Next What Would It Take For You To Go To The Next-Level Version Of You Right Now?